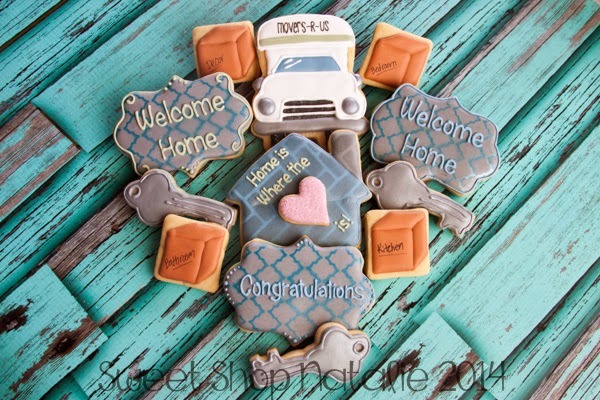 My good friend wanted to give cookies to her brother and his girlfriend who just bought a new home. I love when she tells me to just come up with something on my own. 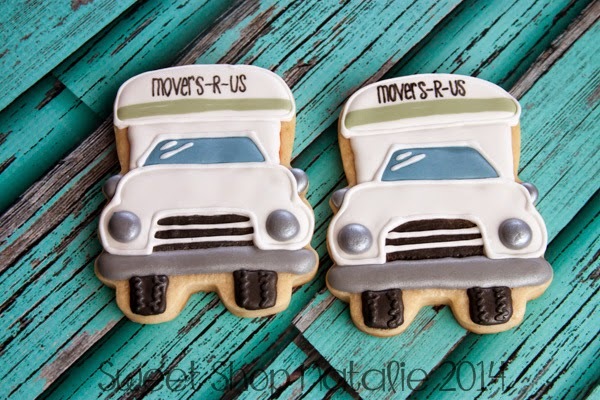 Cookies for a couple who just moved into a new home! Any place can be a home as long as your heart resides there. I thought the stacked heart cookies was a cute idea. Some plaques to welcome them home and congrats on building a new house! 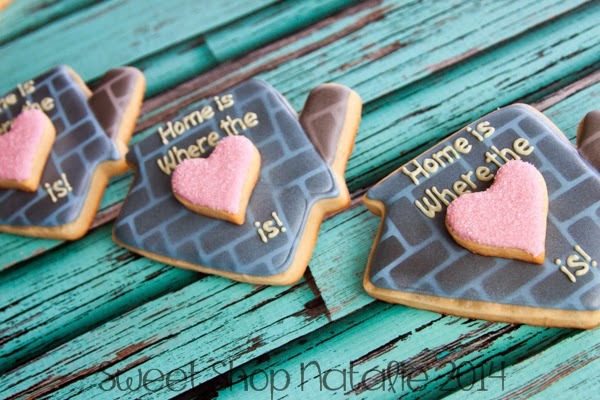 This cutter is Sugarbelles design that can be found here and Karen's Cookies. It is a school bus cutter but I turned it into a moving van. I have seen so many clever ways to use this cutter it is a great cutter to have. 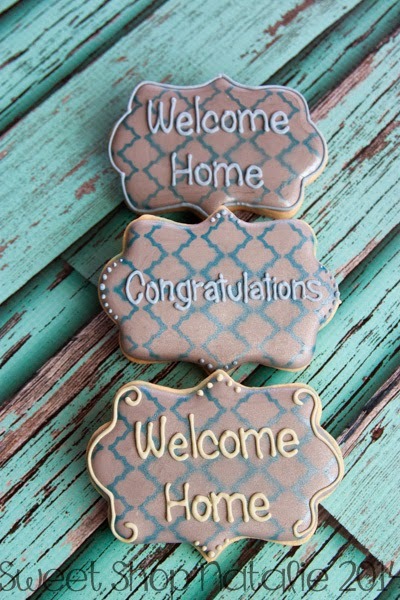 Thanks for the order Laura and I hope that they loved their home cookies!